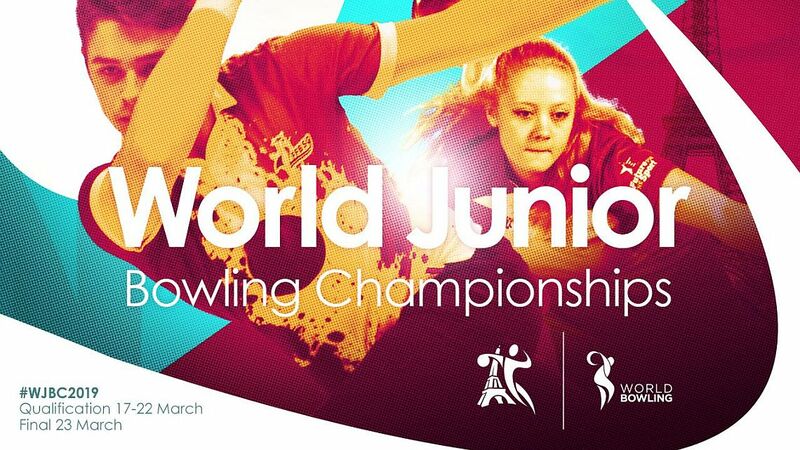 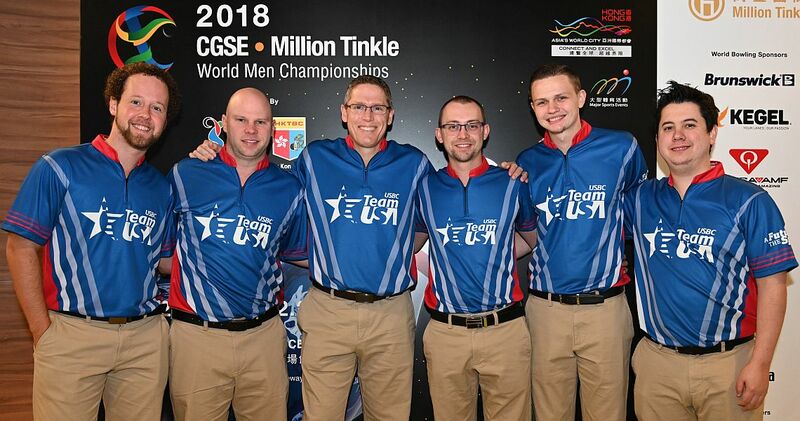 The United States of America, Canada, Italy and Singapore will bowl for the prestigious Team gold medal in the 2018 CGSE • Million Tinkle World Men Championships on Tuesday, Dec. 4, at the South China Athletic Association (SCAA) bowling center in Causeway Bay, Hong Kong, China. 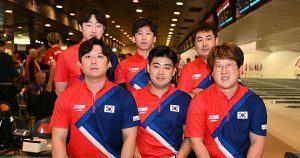 While the bottom half of the of the field after Saturday’s opening three-game series have completed their six-game preliminaries already on Sunday, the top 26 teams were seeded in Squad A to bowl their second block of three games Monday afternoon. Team USA featuring the current PBA Player of the Year, Andrew Anderson, three former PBA Player of the Year (Chris Barnes, Tommy Jones and EJ Tackett), and future PBA Player of the Year Kyle Troup and Jakob Butturff is the defending champion in the team event. 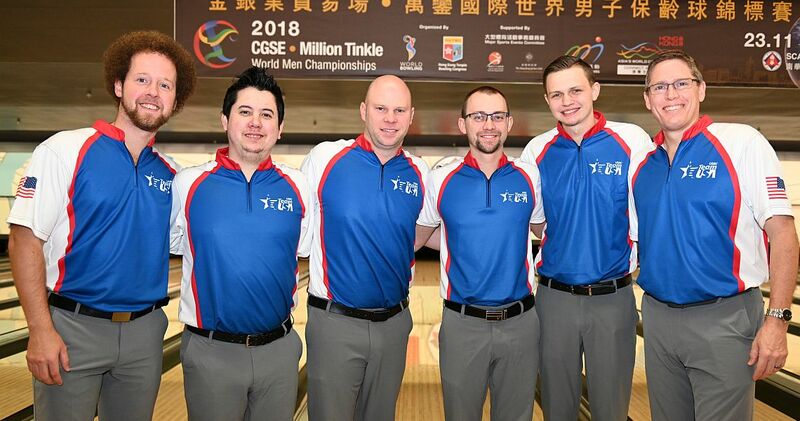 From left: Troup, Butturff, Jones, Tackett, Anderson and Barnes. 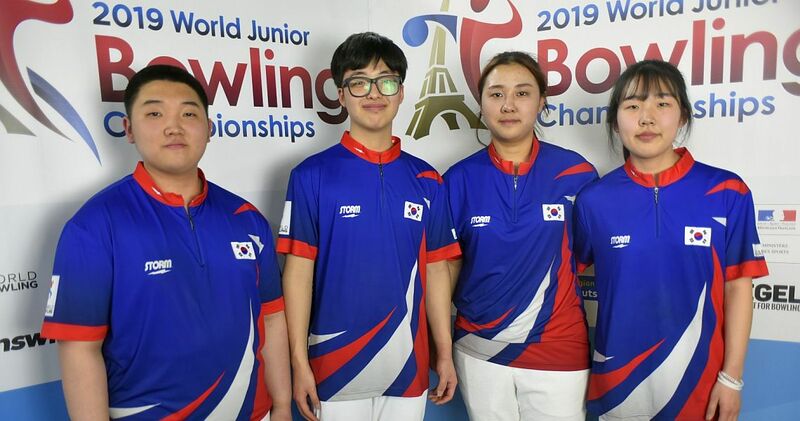 The Americans, who were third after the first three games with 3191, including a high game of 1154, took the lead in game 4 with 1077 and pulled away with 1074 and 1031 to earn the no. 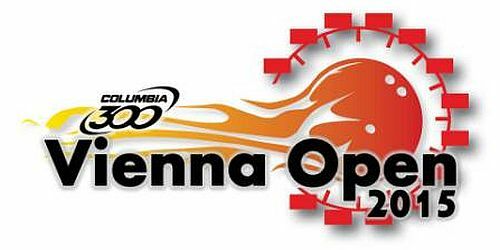 1 seed for the medal round with 6373 total and an average of 212.43 as a team. 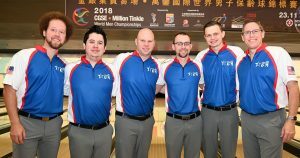 Tackett led the team with 1346 on his way to win the gold medal in All-Events. 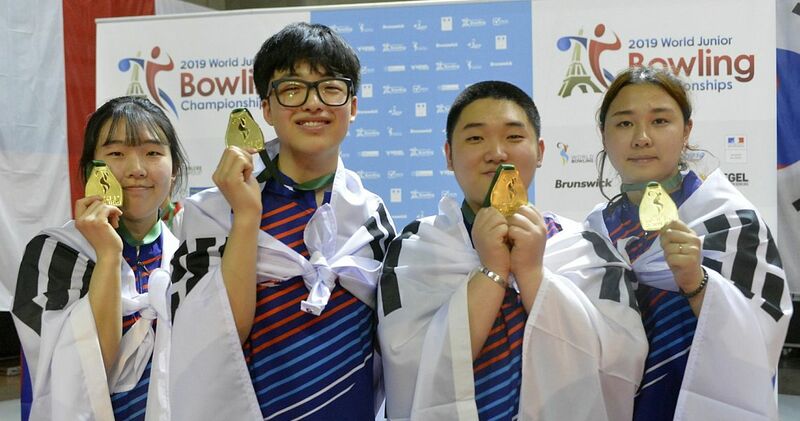 Anderson, who had 1242, received the silver medal. 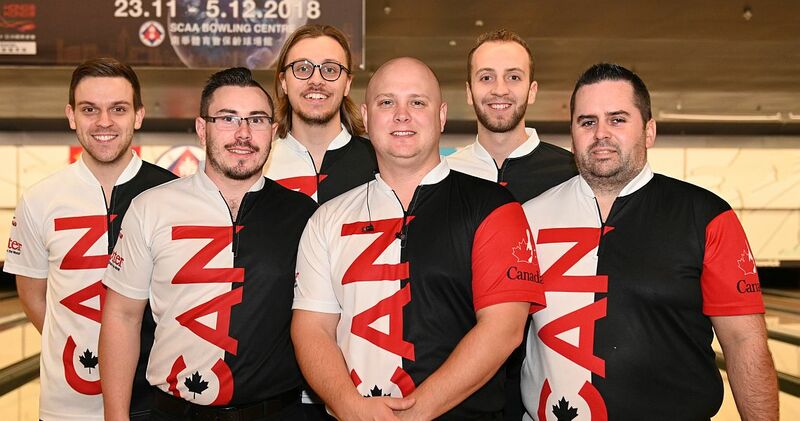 Zach Wilkins, David Simard, Mitch Hupé, Francois Lavoie and Dan MacLelland of Canada (left), who started the day in 14th place with 2966, posted games of 1102, 1132 and 1042 for the field-best three-game set of 3276 to jump into second place with 6242 (208.07). 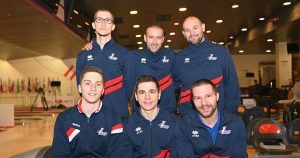 2016 U.S. Open champion Lavoie and MacLelland, who won bronze in Doubles, led the way with 707 and 680, respectively. Games of 215, 242 and 223 helped MacLelland to the bronze medal in All-Events. 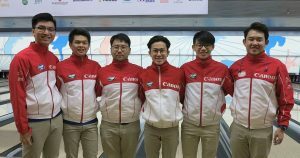 Heading into the last game five countries – France, Indonesia, Singapore, first-block leader Germany and Italy – were vying for third and fourth place to qualify for the medal round. 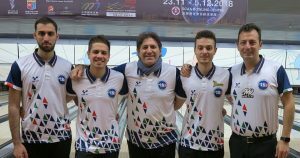 Marco Reviglio, Pierpaolo De Filippi, Nicola Pongolini, Erik Davolio and Antonino Fiorentino of Italy (right) closed with 1044 and 6132 total (204.40) to close a gap of 102 pins to earn the no. 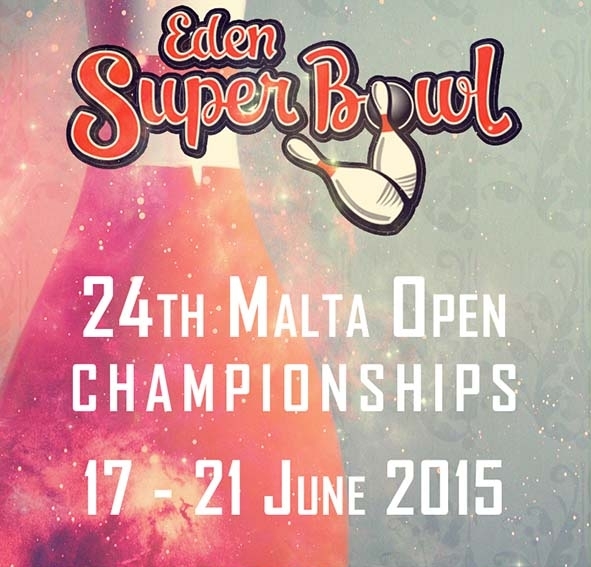 3 seed. Basil Ng, Jonovan Neo, Joel Tan, Darren Ong and Jaris Goh of Singapore (left) were third today behind Canada and the USA with 3095, including games of 1105, 1032 and 958 to leap from ninth to fourth place beating out Indonesia by 17 pins for fourth place, 6130 to 6113. 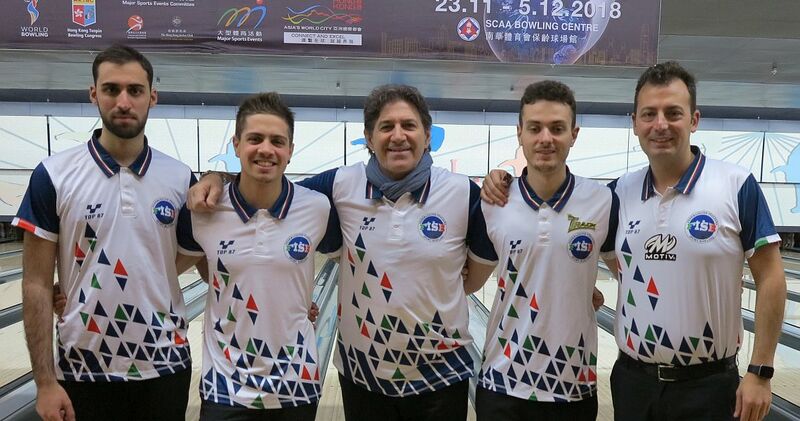 Valentin Saulnier, Maximilien Fialon, Thibaut Lanos, Julien Sermand and Gaëtan Mouveroux of France (right) fell from third to sixth place due to a low game of 918 and 6108 total. 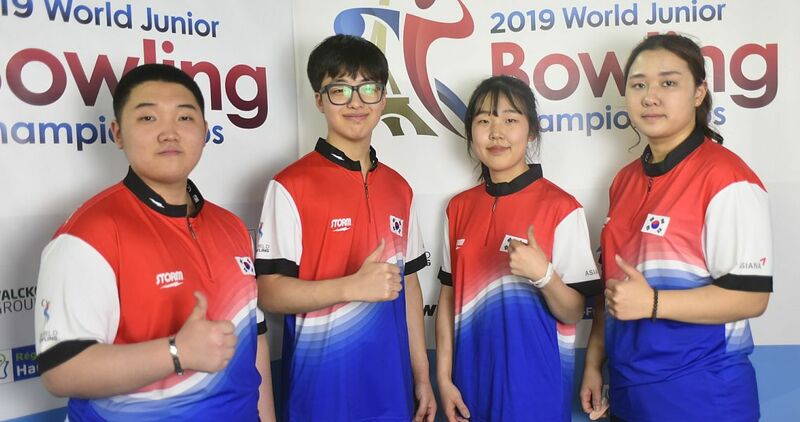 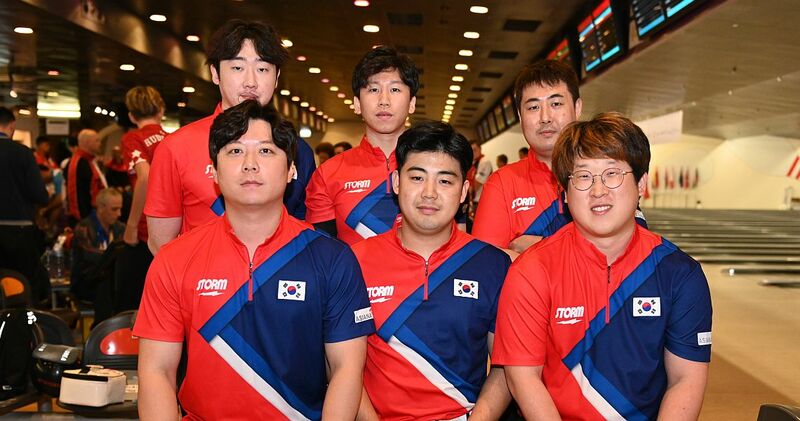 Park Jongwoo, Kim Kyungmin, Kang Heewon, Choi Bokeum and Hong Haesol of South Korea (left), who were on the gold medal team in the 2014 World Men Championship, and newcomer Koo Seonghoi, finished the event in 9th place with 6036 (201.20). First round leaders Fabian Kloos, Pascal Winternheimer, Oliver Morig, Tobias Börding and Frank Drevenstedt of Germany (right), who set the bar in the first block with 3200, an average of 213.33, slipped to third place after a solid opening game of 1018. 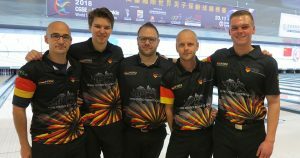 After a low game of 884 in the fifth and a 926 closing game, Germany finished the preliminaries in 10th place with 6028 (200.93). 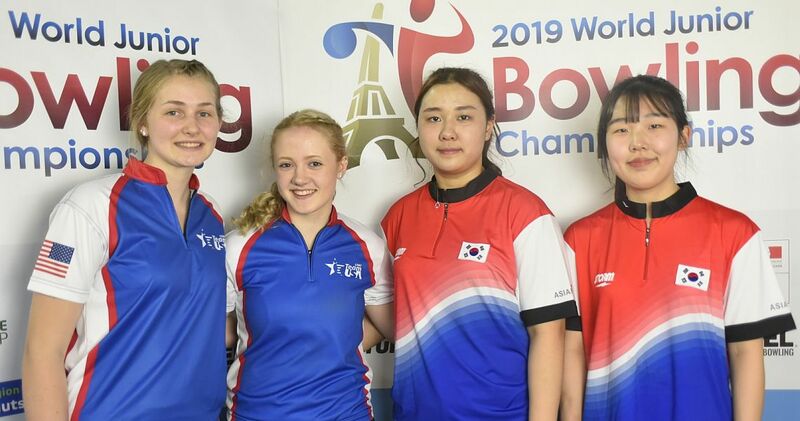 The medal round of the team event featuring best-of-three games Baker matches will take place Tuesday, and the tournament will end with match play Masters Wednesday. 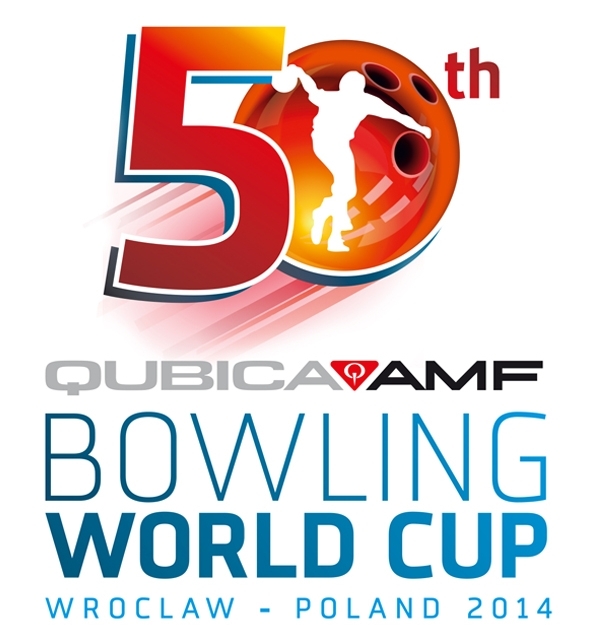 Pos Player/Country G4 G5 G6 Pins Avg.